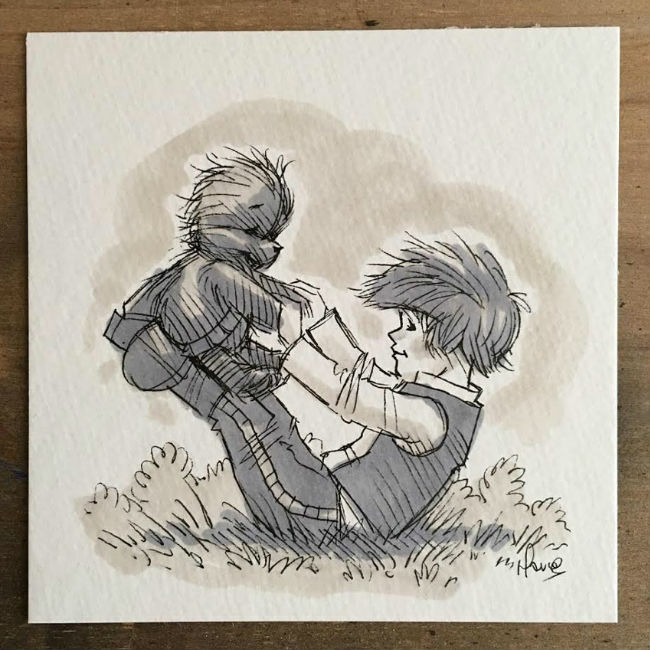 If you’ve been paying keen attention since the release of Star Wars: The Force Awakens, the newest addition to the venerable sci-fi franchise’s canon which has naturally does blockbuster business, you will have noticed that many talented artists have paid their own highly-original touching tributes to the much-loved film saga. 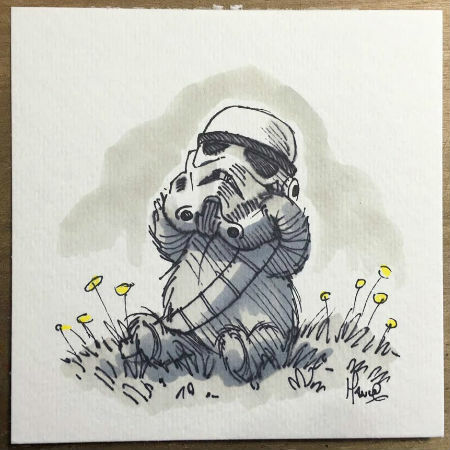 Among them is Florida-based illustrator and artist James Hance who has winningly combined Winnie the Pooh and Star Wars to heartwarmingly-perfect effect. 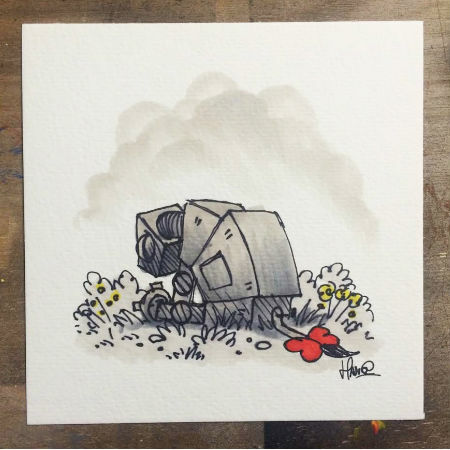 Winnie the Pooh or Winnie the Chew as he known in this delightful mash-up joins Eeyore as an Imperial Walkers, Kanga as a Tauntaun and Piglet as R2-D2 in a story that has also been released as an audio book. 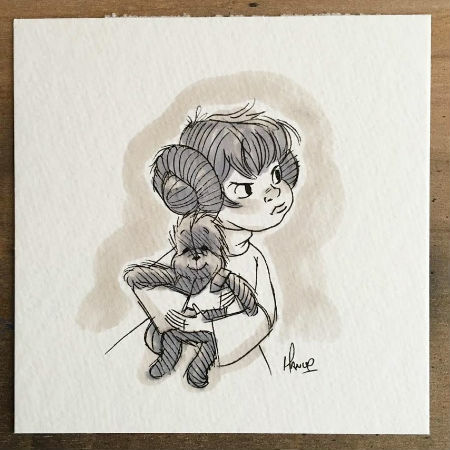 You can also buy prints at his Etsy store. 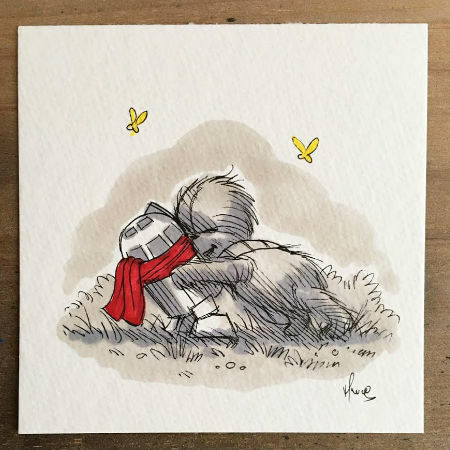 For more of this amazing artist’s wonderful work check out Bored Panda.